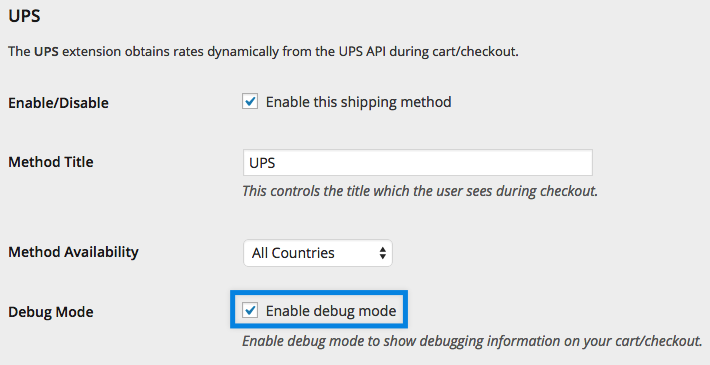 If shipping costs provided by your WooCommerce installation are higher or lower than what you expect, we recommend enabling the debug mode within the shipping plugin settings section that you are using. 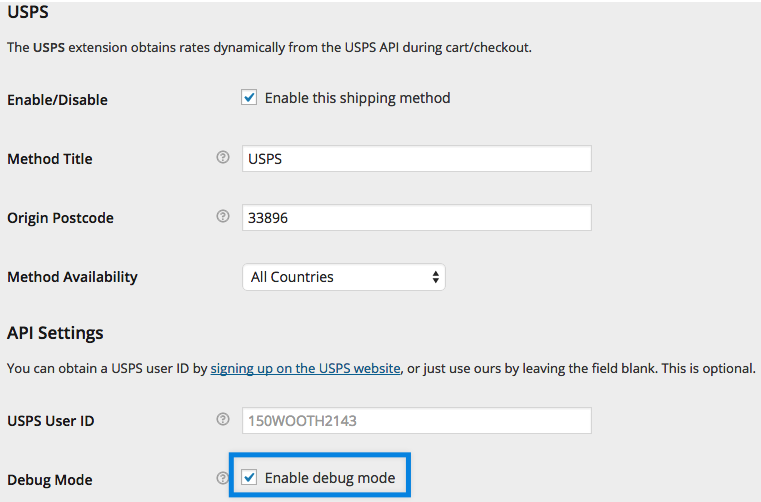 Once this option is enabled, add a product to cart and in most cases you will see useful information on the cart page and/or on the checkout page that explains why shipping costs are different from what you expect, or why they are simply not displayed at all. We also recommend comparing shipping costs displayed on your WooCommerce site to shipping costs provided by online calculators. Nearly all shipping companies provide such a tool. 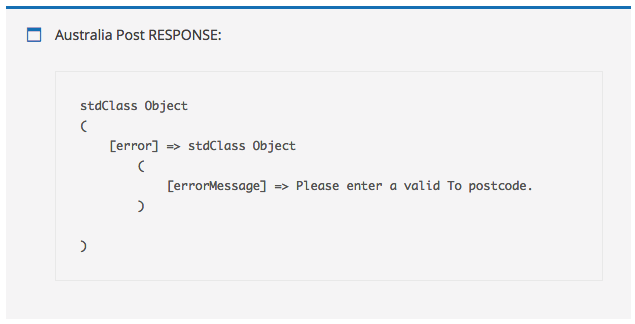 Ensure you use the same values as the ones provided by the debug mode in terms of weights and dimensions. Weights and dimensions are entered for all products. 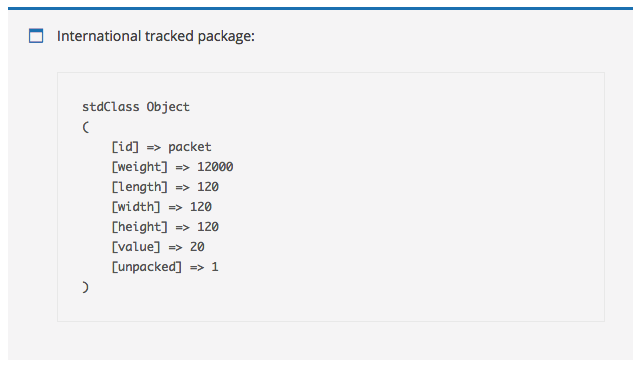 More at: Adding Dimensions and Weights to Products for Shipping. 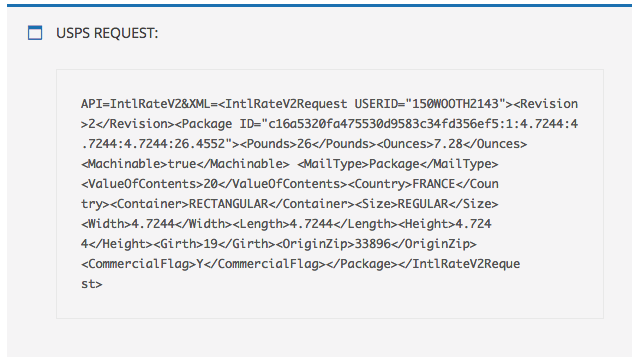 Currency is correct – some plugins require the shop to use a specific currency. 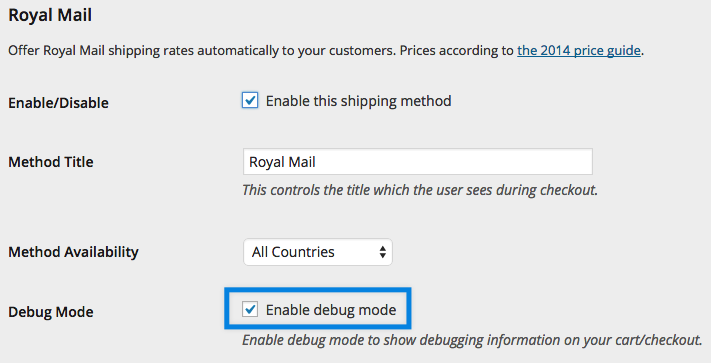 Confirm or change the shop currency at: WooCommerce > Settings > General. 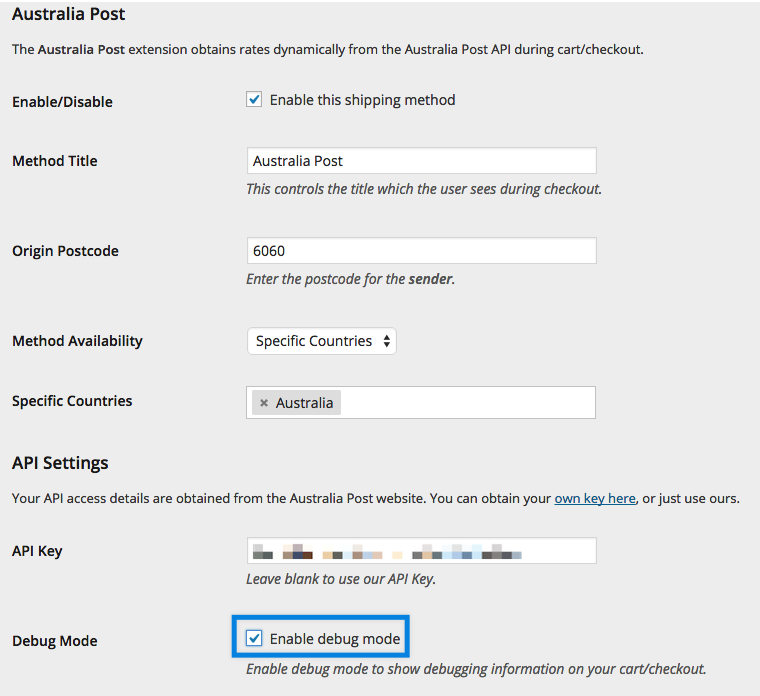 Shop base location is correct – some plugins require the shop to have a specific base location. 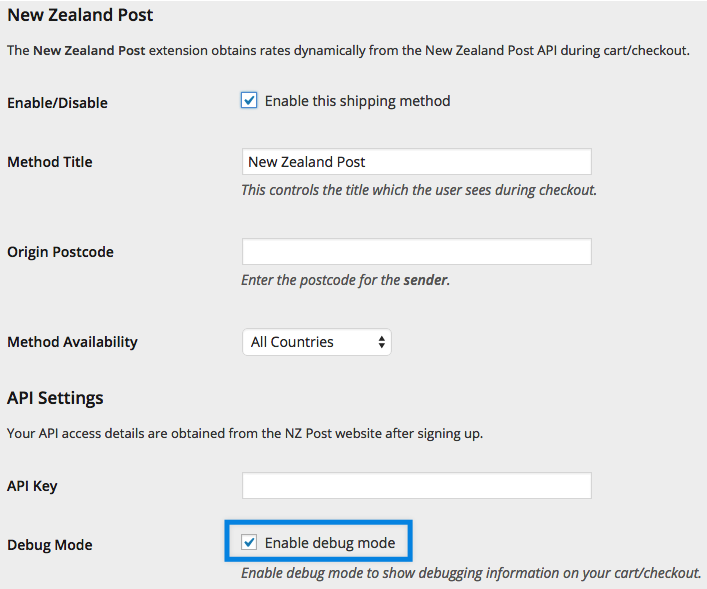 Confirm or change shop location at: WooCommerce > Settings > General. API keys are correct. If not, an “Authorization failed” message should display.